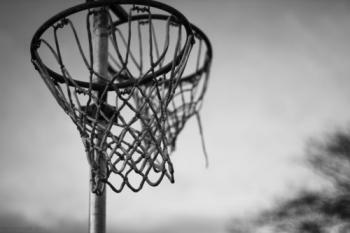 Schools Liaison OfficerA Fixed Term Contract to 31st March 2019 Netball NI is recruiting a School’s Liaison Officer, to develop our relationship with schools across Northern Ireland. 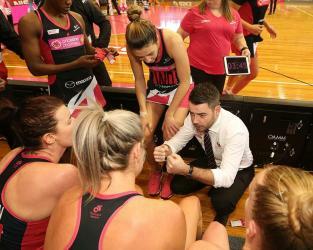 The post holder will work to raise Netball NI’s profile and reputation with school staff, pupils an..
Netball Northern Ireland has landed a major coup with the signing of talented Australian coach Dan Ryan, as the new Head Coach of the national program. 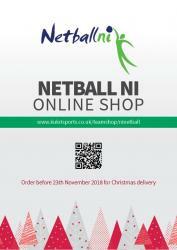 Ryan will take over the reigns from outgoing coach Elaine Rice, with his first task to prepare the new look senior team for next year’s ..
We are extremely excited to announce our first ever online merchandise store is now open! !Working with our new kit suppliers, Kukri, we are now for the first time, offering our members and supporters the opportunity to purchase top quality, stylish, comfortable sports wear that can be worn on court .. The INF Board is seeking applications from suitably qualified individuals to sit on the INF Medical Committee.The Medical Committee is advisory and makes recommendations to the INF Board to assist INF achieve its vision, values and strategic goals as outlined in the Strategic Plan, with respect to a..
Halloween Camps in Belfast & Ards this Halloween! 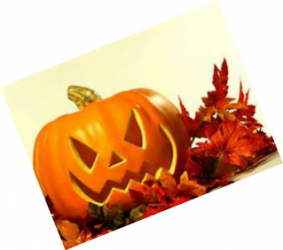 !This Half Term we have some spooktactular camps running in Newtownards (Ards Leisure Centre) and Belfast (Belfast Royal Academy B.R.A) on Wednesday 31st and Thursday 1st November.Young netters of any level from P5, P6 and P7 can get into som..
Netball NI are pleased to confirm that the third UKCC Level 1 course of the 2018-19 season will be at Omagh Leisure Centre on the following dates:20th Oct 2018 - part one10th-11th Nov 2018 - part twoCandidates should be prepared for full days on each day e.g. 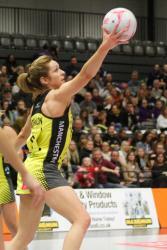 09.00-17.00Please note this course has b..
Caroline O'Hanlon has signed a contract at Manchester Thunder for a second season.The Northern Ireland captain will stay in the Back and Yellow dress for the 2019 campaign.She is the third signing to be announced by Thunder, following the return of Laura Malcolm and Ellie Cardwell from Severn St.. 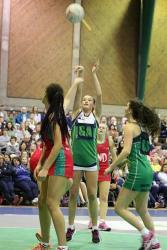 It was a busy weekend for our underage national teams with training and trials happening for both U21 and U17 age groups.U21 Squad Selected for European Championships in October (Antrim Forum)Netball NI are delighted that the following netballers have been selected onto the U21 National squad to com..
Netball NI have produced a Club Committee Volunteering Guidebook to support people in key club roles and help them continue the huge amount of work that goes on behind the scenes in clubs. 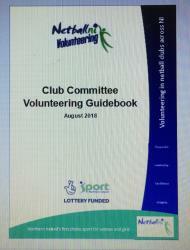 The Guidebook aims to provide a framework for best practice with a number of the templates available to c..
We are delighted to announce following our recent recruitment process that we have two new staff commencing employment with us on Wednesday 1st August as Everybody Active 2020 coaches:Ards and North Down area: Maureen CaughersAntrim and Newtownabbey area: Andi MageeMaureen will be the first Netball ..